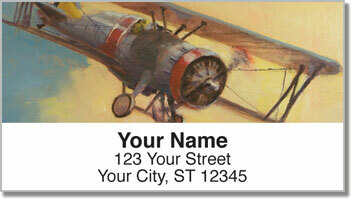 If you're an aviation nut or just love all things antiquated, then you'll love these Aviation Art Address Labels from Artist Christopher Jenkins. 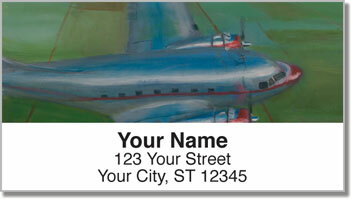 Showcasing the very best in antic beauty, the skilled brushwork of Christopher Jenkins brings a new level of depth and sophistication to these glorious birds on the air. 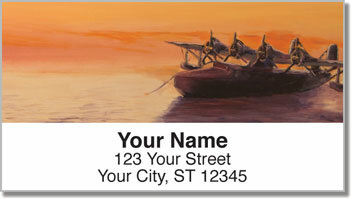 Now on our self-adhesive address labels, it's easy to send a little piece of history in the mail! With a convenient sticky back, you're sure to save yourself lots of time, not to mention skip some tedious work. 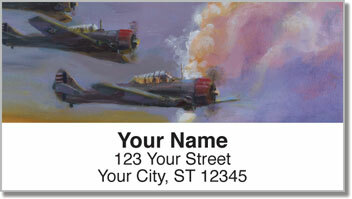 Order these distinguished birds of the sky today and get shipping absolutely free!